"Please explain (again) your take on soil testing. I've never had one done and I've gardened for many years. As your photo depicts, deficiencies are detectable by plant performance. 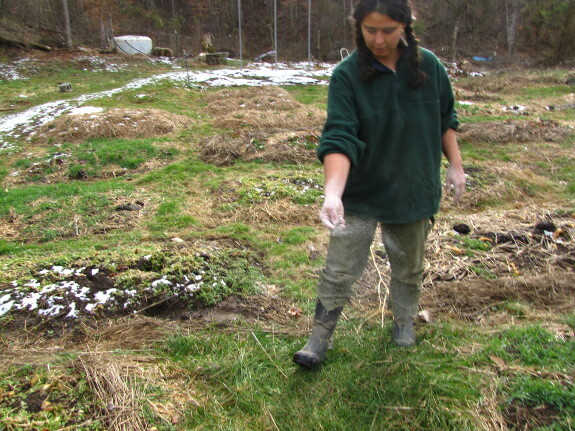 I employ crop rotation and try to compensate for particular plant needs at or before planting and religiously compost." You want to plant blueberries or something similar in average soil. If you're going to need to change the pH of your soil, it's good to have an idea of how acid or alkaline your soil is at the moment. You want to get an idea of how you're improving (or worsening) your soil over time. I like to look at the percent organic matter and CEC of my soil because these figures are (hopefully) going up every year. This is generally just interesting, but can be important in permanent perennial systems (like pastures) where you never really see the dirt, so you can't just guess based on on color and texture. You plan to remineralize your soil. If you believe that ratios of nutrients are just as important as the absolute amounts (which I'm on the fence about), you'll need more solid data before you can add minerals to your soil. You're concerned there may be a slight deficiency that isn't showing up in your plants. Most soils are lacking in something (related to the remineralization concept above). Your plants might just slow down a bit due to a mild deficiency, but if you're getting most or all of your nutrition from homegrown food, then a mild deficiency in your plants could turn into a mild to moderate deficiency in yourself. You might not care much if your plants are only operating at 80% efficiency, but I'll bet you care if your kids are. You think your soil might contain heavy metals. A one-time soil test is probably worth doing if you live in a city or have some other reason to believe your soil might have heavy metals present above the recommended levels. You see some kind of nutrient deficiency in your plants, but can't figure out what it is. Even though you can tell some problems apart visually, others look pretty similar. If you're a large-scale farmer, you might even choose to take a plant tissue sample in this situation instead of a soil sample. You are a chemical farmer. If you're buying any kind of chemical fertilizer, you should definitely get your soil tested first and see how much of it you need. On the other hand, if you fertilize with compost, this isn't so important. There are probably other reasons you'd want to test your soil, but those are the first ones that come to mind. What would you add to the list? Our chicken waterer is the POOP-free addition to a modern coop or tractor. I was wondering if you could clarify your comment about being on the fence about ratios vs. absolute quantities. Based on your earlier mineralization posts, I'm supposing that you're on board with balancing ratios and on the fence about the absolute quantities. Frankly, I love testing my garden soils, but I'm an environmental scientist and a data nerd I tried Solomon's remineralization techniques this year but didn't notice any stellar gains in plant performance. My TCEC is rather low (5-6) so I'm applying bentonite clay and biochar to help boost nutrient retention. I'll give it a few more years. To me, the soil test is a crucial step towards establishing healthy, balanced soils. Hair trace mineral testing of both my wife and myself shows we are deficient in those same 3 minerals!!! Yikes !!!!! As you suggest actually getting those into your soil and plants can be non-trivial. And plant and animal (yourself) testing is the only way to know that you have probably changed things and hopefully this is an improvement? I find granite dust and real seaweed and seawater work pretty well. By real seaweed I mean going to the ocean and collecting it yourself. NOT buying a bottle of who knows what and pretending that will do the job. Anna and Mark. Always nice to read your writings!!! If the soil you're working was ever part of an industrial area or decomissioned military facility. Acitivities like tanning, electroplating, metal casting, PCB manufacture and others can leave significant, long-lasting and not immediately obvious pollution in the soil. I enjoyed everyone's thoughtful comments on this post! I'll be answering Mike in a separate post in a day or two. Patsy --- We're in zone 6, but my mother gardens in zone 7, so I'm pretty familiar with it. Hopefully you've already been trying southern highbush and/or rabbiteye blueberries instead of northern highbush? And focusing on acidifying the soil? Grapes seem to be tricky to grow organically --- I'm still working on that. And I can't tell you for sure about plums, although our new European plums seem to be doing drastically better than the Asian plum did. After reading through most of "The Intelligent Gardener's Lunchtime Series," I'm even more convinced that soil fertility is not an exact science. John's comment along with Solomon's experience in Fuji were particularly eye opening, especially in an agricultural environment when high yield ($$$) is more important than high nutrition. 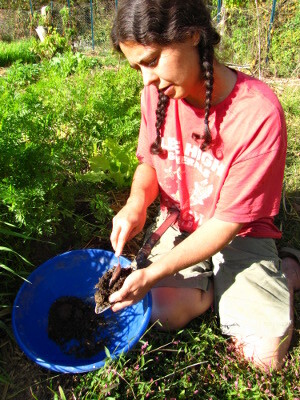 Thank you Anna for your willingness to use your garden as a laboratory so that we all may learn. I'm even more determined to stay on the path of sustainability... might even send in a soil sample.